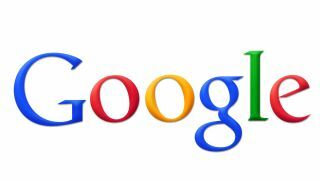 Google survived the first sweeping federal investigation into its business practices, Richard Brosnick, a shareholder and director at the New York office of the Butzel Long law firm, told TechRadar Thursday. Brosnick, who specializes in antitrust law, weighed in on two settlements between the U.S. Federal Trade Commission's (FTC) and Google, which saw the search giant put an end to a 19-month probe by agreeing to license certain patents and change some of its business practices when it comes to how advertisers can market themselves, particularly when using competing services. Most significant for Google, however, was what the FTC decided not to charge it with. "The core allegations [against Google] were that it biased its search results, and the FTC decided there weren't any violations there," Brosnick said. "That's not to say that they didn't find anything that isn't questionable, but the FTC will only file suit if it finds antitrust violations." Very little in how most regular search users experience Google will change, Brosnick said. "Aside from the patent issue, on the search side, users won't see any difference. On the advertiser side, the portability and scraping concessions will make some difference. "I don't think consumers should see much of an impact and that in and of itself is probably partially why the FTC closed its search investigation. Most of the changes Google has made are being driven to improve consumer experience, which is something the FTC supports." Looking at another high-profile antitrust investigation currently underway, Brosnick said there's no sure way to tell what impact its settlements with the FTC will have on a European Union investigation. "It's hard to say how the decision will impact the EU's decision," he said. "From a tactical point of view, Europe has seemed more aggressive on these types of charges. I can see Microsoft and others might try to get the EU to take action in a way that the FTC couldn't."